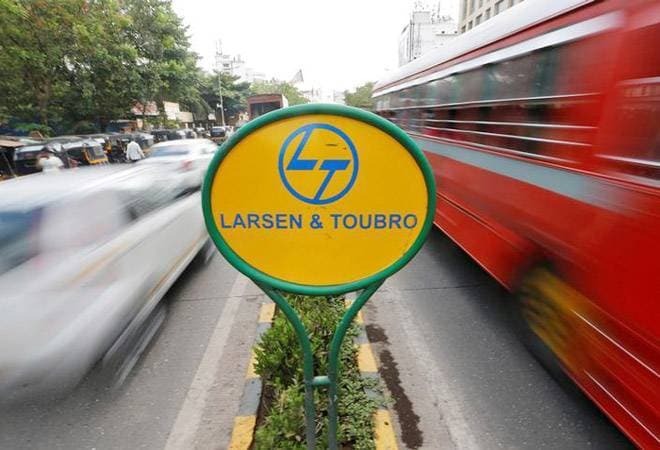 L&T is reportedly planning to buy 20.4 per cent stake of V G Siddhartha, the top shareholder in Mindtree. This aggressive move is looked upon as a 'hostile takeover' of Mindtree by the infrastructure giant. But, what does 'hostile takeover' really mean? Mergers and acquisitions are inevitable in the corporate world. Acquisitions can be friendly as well as hostile. A friendly acquisition is one in which controlling group of the target company sells its shares to another group wilfully. However, if the management of the target company is unwilling to negotiate, the acquirer can directly approach the shareholders of the company by making an open offer. This is known as a hostile takeover. In 1983 London-based NRI Swaraj Paul sought to control the management of two Indian companies, Escorts Limited and DCM (Delhi Cloth Mills) Limited by picking up their shares from the stock market. While he was ultimately unsuccessful, Paul's hostile threat sent shockwaves through the Indian business world. In 1998, India Cements Limited ("ICL") in its hostile bid for Raasi Cements Limited ("RCL") made an open offer for RCL shares at Rs 300 per share at the time when the share price on the Stock Exchange, Mumbai ("BSE") was around Rs. 100. In this case investors felt cheated as the promoters themselves sold out their stake to the acquirer leaving little room for them to tender their stake to the acquirer during the open offer. However, ICL also bought out the FIs in the open offer and thereby increased their holding in RCL to 85%. In October 2000, Abhishek Dalmia, made an open offer to acquire 45% of the share capital in Gesco Corporation at Rs 23 per share at a total. This transaction entered in to a drama of hostile takeover until the promoters of Gesco corporation and the Dalmia group announced to have reached an amicable settlement in the battle for Gesco, with the former buying out Dalmias' 10.5% stake at Rs 54 per share for a total consideration of Rs 16 crore. The Gesco Corporation takeover drama showed that a bidder with admittedly poor financial resources could drive the price up of shares only to exit later with a huge profit via a negotiated deal. In 2008, hostile takeover triggered between Emami and Zandu in May 2008 when Emami acquired 24 per cent stake in Zandu from Vaidyas (co-founders) at Rs 6,900 per share. Open offer for further 20 per cent stake followed with co-founders giving in their 18% after 4 months of futility to save the company. Rs 750 crore was the consideration paid by Emami for a 72 per cent stake in the company. In 2012, Essel Group's Subhash Chandra sought to control Iragavarapu Venkata Reddy Construction Limited (IVRCL), an infrastructure company. The promoters in the target company had only 11.2 per cent stake in IVRCL. Subhash Chandra's Essel Group after acquiring 10.7 per cent stake in IVRCl, made a u-turn and decided to exit its shareholdings in the target company. How can a company prevent hostile takeover? A company has a host of options through which it can prevent hostile takeover. Some of these options make the takeover expensive for the acquirer. In some cases the most attractive assets of the target company are even sold off, so that the acquiring company may lose interest and back out from the hostile takeover. Described below are some of the commonly employed tactics by the target company to counter hostile takeover bids. Poison Pills: A specially designed shareholder rights plan is called poison pill; it comes with with certain conditions drafted specifically to thwart attempted takeovers. Poison pills come into play when a hostile bidder acquires a certain percentage of the target's voting shares, following which the target shareholders become entitled to new shares offered at deep discount, making the target company's shares much more expensive to buy. Shark Repellents: To deter hostile takeovers a company may make special amendments to its legal charter which becomes active only when a takeover is attempted. It is commonly known as a porcupine provision. These are put in place largely to reinforce the ability of a firm's board of directors to remain in control. Techniques such as staggered or classified board structures may be implemented through which only specified directors are re-elected to the board while others have a fixed tenure, thereby forcing a hostile bidder to wait until the completion of tenure. Pac-Man Defence: Pac-man defence is a bold move in which the target company prevents a takeover by buying stocks in the acquiring company and ultimately gaining control of the acquirer. Sale of Assets: In a move to make the acquisition less interesting for the acquiring company, the target company may sell the whole company or the most important assets of the company. Thereby making the sale less attractive for the acquiring company. White Knight: Where a hostile takeover seems imminent, the target may seek out other investors which are friendly to the target company, and sell the company or substantial stocks of the company to the friendly investor. Such friendly investor is called a white knight. Greenmail: Similar to blackmail, greenmail refers to the money paid to an hostile entity to stop or prevent its aggressive behaviour. Greenmail is an anti-takeover tool in which the target company pays a premium, (known as greenmail), to purchase its own shares back at increased prices from a hostile acquirer.